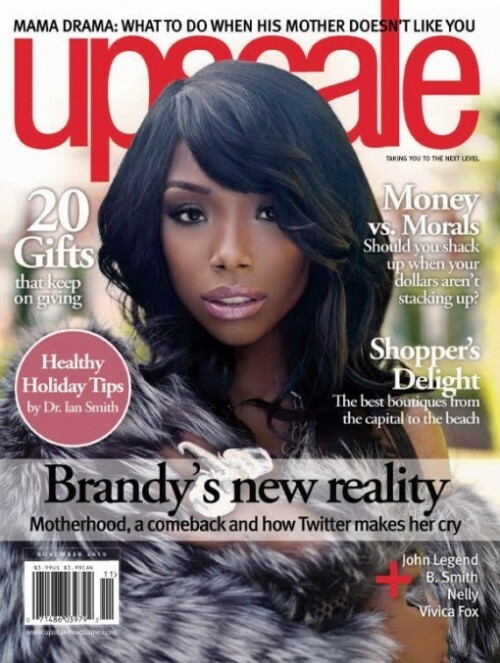 Brandy speaks on a conglomerate of topics in the November 2010 issue of Upscale Magazine, but most prominent is her involvement in the 2007 car crash that killed another woman driver, 38-year-old Awatef Aboudihaj. The star says that people often refer to her as a murderer. "...They taunt me and send pictures of cars that are basically annihilated," she continues. "Every report has stated that I was not at fault. People still don’t care." For more on the article, pick up the November issue of Upscale Magazine today.